Magnificent detached villa in Pinares de Oromana Urbanization , in one of the most privileged natural environments in Seville. Detached villa with large garden and pool in the residential complex of Torrequinto. Elegant property with privileged surroundings and exceptional views in Plaza Alférez Provisional. Detached villa with garden and pool in the residential area "La Motilla"
Duplex penthouse with views in center area, Feria Area. 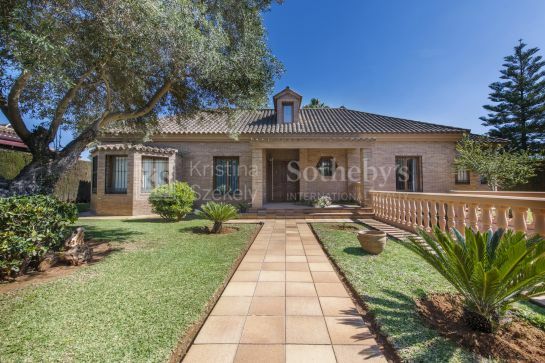 Modern and luxurious detached villa located on the first line of the "Real Club de Golf de Sevilla"
Fantastic attic with direct elevator to the house and views to the Guadalquivir.